The Jewellers and Metalsmiths Group of Australia, Queensland Chapter (JMGQ) showcase exhibition, USE is thematically focused on the concept of tools, while exploring the conceptual breadth and layers of meaning that operate within the theme for contemporary jewellers, metalsmiths and small objects practitioners. ‘USE’ is a touring exhibition in partnership between Jewellers and Metalsmiths Group of Australia (Queensland Chapter) Inc. and Museums & Galleries Queensland. This project is supported by the Visions regional touring program, an Australian Government program aiming to improve access to cultural material for all Australians; the Queensland Government through Arts Queensland; the Australian Government through the Australia Council, its arts funding and advisory body; Liveworm Studio; and Queensland College of Art, Griffith University. 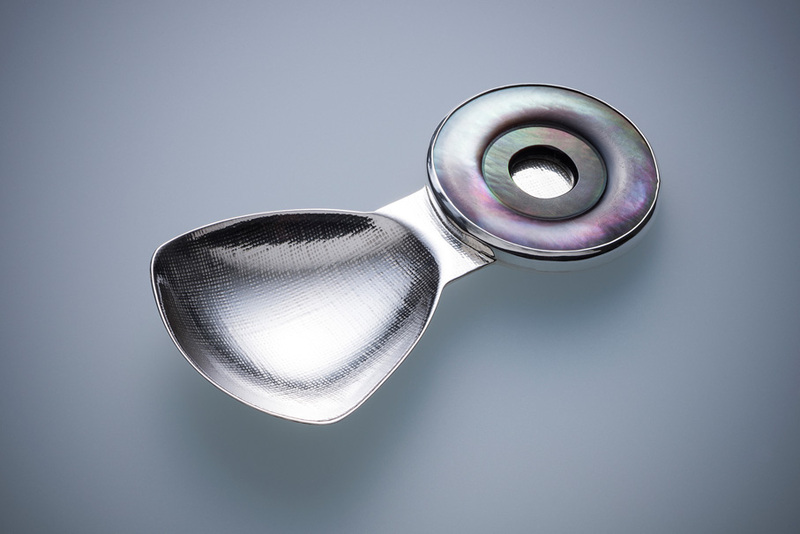 Image: Catherine Large, Monochrome shovel #1 2017, sterling silver, fine silver and mother-of-pearl. Courtesy of the artist. Photography by Michelle Bowden, Visuall Photography.